The sign in front of the Mesa Verde Detention Facility on Golden State Avenue near downtown Bakersfield. It's been operated by the GEO Group since 2015. Laine comes to Mesa Verde often to talk with detainees. He’s gotten to know several people here, including a man he visited over a 14-month period who then got deported. Laine says his primary concern is what happens to them inside the facility. 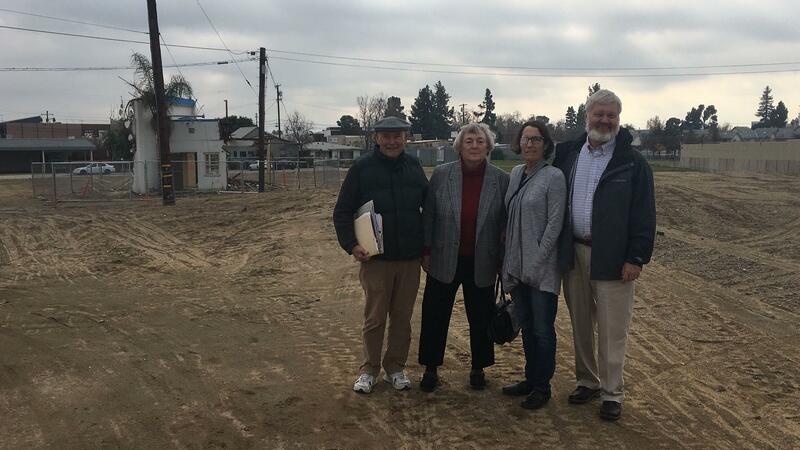 (From left) Eddy Laine, a volunteer who visits detainees at Mesa Verde Detention Facility, stands with others who are familiar with the many questions surrounding the facility: Pat Nolan, Jeannie Parent, and David Stabenfeldt. But, what’s going to happen to Mesa Verde is unclear. The GEO Group also has an agreement with the City of McFarland to operate in Bakersfield, but in an email, the McFarland City Manager, John Wooner, confirmed the city council voted in closed session to withdraw from that agreement. Wooner says the city sent a notice to the GEO Group in December and it will take 90 days to go into effect. ICE also has an intergovernmental service agreement, or IGSA, with the City of McFarland to operate in Bakersfield. Under federal law, ICE must have a contract with a public agency if it wants to operate in a county or a city and work with a provider, in this case, the GEO Group. To continue operating, ICE would need to find another local agency to work with. But, a state law that went into effect last year makes this more complicated. They’re going to have to abide by SB-29, or the Dignity Not Detention Act, says Ivy Cargile, an assistant political science professor at California State University, Bakersfield. “The idea behind SB-29 is really to end all of these private detention centers,” she says. SB-29 makes it so any for-profit detention facility, like Mesa Verde, cannot go into new contracts with cities, counties or local law enforcement. The facilities that had contracts with local agencies before Jan.1, 2018 are still able to operate, but they can’t amend or extend the contracts they had. So the question is: What happens to Mesa Verde after 90 days? That land includes the El Morocco Motel and the Bakersfield Dome, which has been demolished in spite of protests to preserve the concert venue. 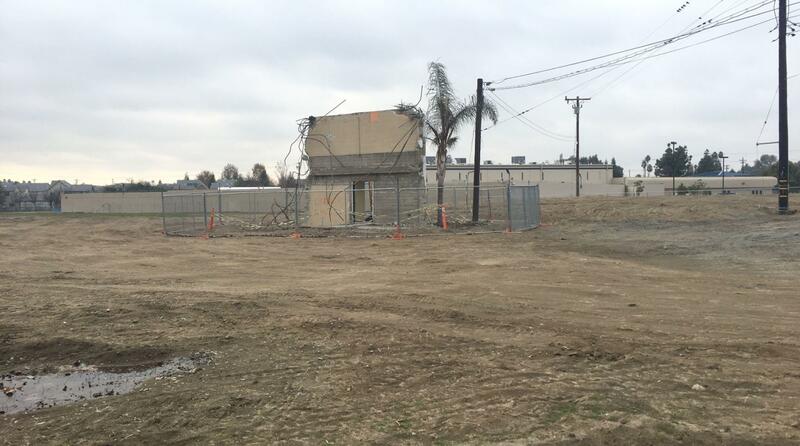 According to the Bakersfield Californian newspaper, the GEO Group says it has no plans of expanding, but wants to create a buffer around the facility for safety concerns. The remnants of where the Bakersfield Dome used to be. The GEO Group bought the property and bulldozed the dome last year. The GEO Group did not respond to Valley Public Radio’s request for comment. Meanwhile, ICE says it is unable to respond to the media during the government shutdown. Nathan Allen, the warden at Mesa Verde, says he won’t answer specific questions about what happens when the 90 days are up. But he did say there is “opportunity” to have a contract that doesn't go through a public agency. Cargile says her “assumption” is that somewhere in SB-29 there’s a loophole. She can only guess what that might be. No one has tried to fight the legislation yet. “They’re going to have to scrutinize the law or the verbiage of the actual bill in order to be able to find those loopholes,” Cargile says. Mesa Verde’s existence could be up to the Kern County Board of Supervisors, according to Cargile. She says it has the authority to uphold SB-29. The director of communications for Kern County, Megan Person, says the board hasn’t discussed this. She also says ICE has not contacted the county or the sheriff’s department regarding Mesa Verde. David Stabenfeldt, a local pastor, says many people don’t even know Mesa Verde exists. He’s raised his concerns about the facility at a Bakersfield City Council meeting. He says people in the community need to be aware of what goes on inside Mesa Verde. “We then need to ask the question, ‘How are we going to be treating those who are in detention?’” he says. For Stabenfeldt, that’s as important a question as whether Mesa Verde will remain open.